Category Archives: Iksvakave Entries — Am I a Hindu? Sbhada table that I created. Hindu way of life is that of a personal god. Whether it is the prayer in front of the altar at home, or the way one approaches and receives god at the temples or the Hindu texts one decides to dwell in, it is the idea of personal God. There is no congregation or authority that dictates one right or wrong. It is perceived we are not without a sense, peoples sense and sensibility in their approach, time and place decides what is understood and yet to be understood in this personal relationship worship of God. Updated static page to bring clarity to my experience and also writing to my writing satisfaction. I would like to mention and express the word spirit is a word that does exist in a dictionary. I do not think it is made up word! It is one of the truths of human body and our experience as we cycle through this universe. Amba tvam anusandadhami bhagavad-gite bhavadvesinim. Amba tvam anusandadhami bhagavad-gite bhavadvesinim – And unto the mother (amba), I meditate upon recite the Bhagavad Gita (tvam anusandadhami bhagavad gite), the destroyer of the house or dwelling of samsara (bhavadvesinim). Om. Parthaya (Arjuna), the reason for it is Arjuna, that do everyday the philosophical knowledge explained to us by Lord Naryana himself for the entire. Even though it was vyasa who wrote the book, the muni from the past, in the middle of Mahabharata Katha, the immortal nectar of advaita, by showering us with Gods words given us in the form of 18 chapters to meditate upon. And unto the mother, I meditate upon recite the Bhagavad Gita, the destroyer of the house or dwelling of samsara. Please also check the various meaning online on the internet and see if this makes a difference it brings clarity or in the way you understand. Om…. help us together to that which is happening in good manner; help us together to that we are part of which we eat/enjoy with our bodies, help to give us strength to perform inorder to illuminate us in our studies; be it so that from enmity/poison that exists around us. Om peace, peace, peace. It is a beautiful prayer that is recited at the beginning of a study or before a spoken discourse. Check out the internet with the many other meanings. Notes: for the meaning in the above website I would like to point there are no words in the sloka for a teacher or student or lord or to be protected. One website writes ma visha, to mean let us never be poisoned, it is ma vid visha so knowing that it would not make sense to think of it that way. Nonetheless, the meanings from the all of the other websites though there are variations convey the over all meaning if that is all you care about. Since I am particular about what makes sense to me and how I understand things that is reading from left to right and taking a deeper look at the meaning to understand it and make sense of it in way it is meant to be understood in Sanskrit. You see America — I don’t know the Bible. A religion and foundation in its own right. Will anyone understand these words and in a way with what type of judgement or no judgement? This is a blog about my quest to understand religion, with meaning. Does anyone know what the Vishnu’s Symbol Kapita stands for? A symbol that you see in the picture below. I wonder if it is for the 2 religions? It is my belief that everything stemmed out of two religions — Hinduism and Christianity. For example, Buddhism, Jainism, and Sikhism came out of Hinduism. One might think the idea of everything stemming out of two religions is a over loaded and a crazy statement or do you think it has some validity? I believe there is some truth to this. In the picture below Kapita is the symbol that Vishnu is showing to Arjuna in his discourse of Gita. I have seen this symbol in church services and it is also a symbol of Jesus that you see the picture below. Now, what the symbol Kapita means in both the religions is what I hope to find out. I would like to think it is for ways (margam – way to) in this world, one through the power of mind and the other through the power of heart. Actually, what I found out about this symbol it symoblizes explaining meaning. A Hindu —- What is a Hindu? Hinduism under construction. 1. A Hindu, having the eyes, knowledge, and awareness for Intellect (right from wrong). 2. It is understanding Arhata, who is fit for worthiness. 4. It is living by example. 6. It is realizing Karma, that for every thought, deed and action there is a manifestation happening bigger than our universe. 7. It is following the guidance of a Guru or realizing who the teacher is that may have opened your eyes. 8. 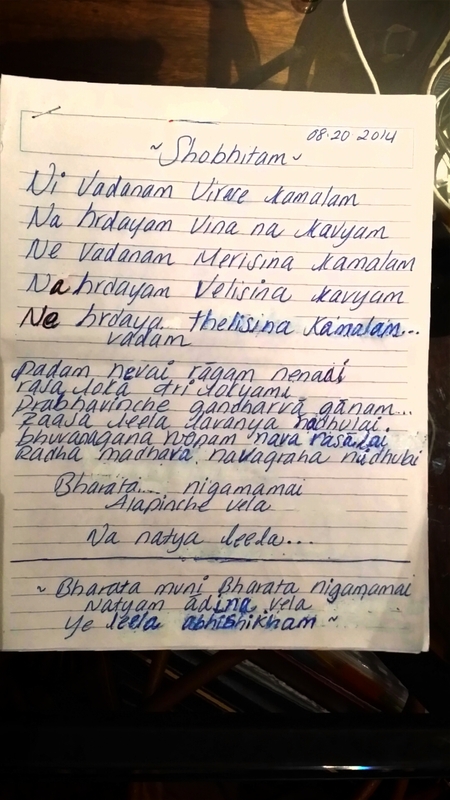 It is yada yada hi dharmasaya glanir bhavati bharata abhyutthanam adharmasya tada atamanam srjamya aham. Paritranaya sadhunam vinasya ca dustkrtam dharma-samsthapanarthaya sambhavami yuge yuge. 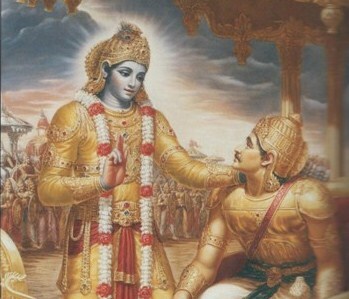 One of the favorites verses in all of Bhagavad Gita. It is belief that god will come through for the good, the righteous and the just, millennium after millennium. 9. It is an awakening or enlightenment, a type of wisdom associated with knowledge – Jna. 10. It is a realization of being aware of your own 5 senses or the Indriyas. 11. It is a realization and consciousness of the self. 12. It is about Dharma, the eternal law of this universe and its manifestation. Truthful living, righteousness and duty that which you treasure. * The greater good each individual feels and one hopes for in this world. 13. It is knowing each individual you meet has atma (the soul). That which cannot be killed or murdered. Also not every soul on this earth is divine, it is that every soul is only potentially divine. It is for us to discover that divinity in our lives. 14. It is using your consciousness to be your guide. 15. It is having faith and bhakti (Devotion) towards God, that pour through your eyes. The foremost sense and aspect of worshipping God and surrender. 17. It is understanding the value and values of education. 18. It is meditating on Om. 19. It is seeing things for what they are and people for who they are – admiring them or keeping your own self-respect. 20. It is respecting “Guru” or really respecting what we value the most — the learning. 21. It is seeing the Maya and yet not fully being able to understand its manifestation. 22. It is living by God’s principles, the moral, ethical way to transforming the self. Why else would anyone need religion? 24. It is understanding the expression: Children are equal to god – in purity. 25. It is understanding the values in education of sanskriti, sampradaya and samskar. 26. It is seeing the wealth of sadhana (practice) to understand the term perfection. 27. It is understanding what god has blessed you with, Anna (food). And that is the term in Bhagavad Gita and Sanskrit for food. 28. It is Anatha ——- Orphan —that does not have neither beginning nor end. Do you see a resemblance based on your foundation, upbringing and experience? How does one see this, as a Hindu, non hindu and how you may or may not even know a Hindu? A priceless ques. for you. Do you still consider yourself a Hindu after reading this post? What do you think the difference is? where this is coming from? That is also something to learn from about a person and ourselves. at that time in that form (atma) wearing the garland is I. Where, where indeed there is dharma, that face, mouth of righteous and just that shinning glorious expression is that of bharata (India). Rise to the occasion where there is adharma (injust and wrong), at that time in that form wearing the garland is I. Notes:The word asya according to the dictionary I was using is face, mouth of a person and that is what I used here to describe dharmasya. 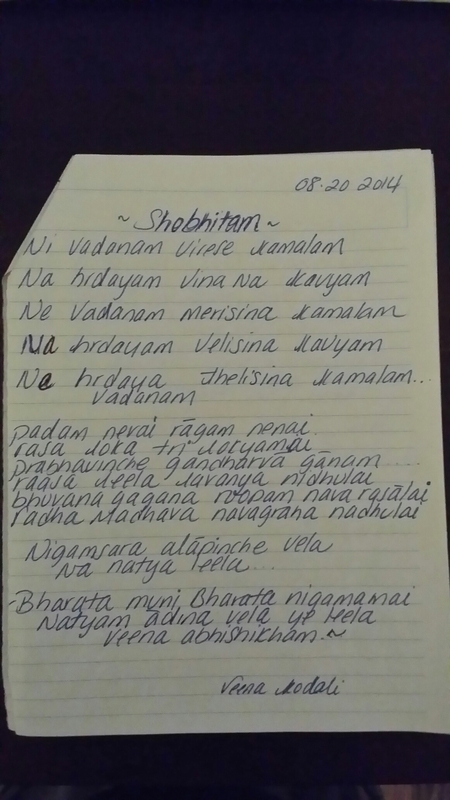 Shobhitam – A Sanskrit poem I wrote! A sanskrit song I wrote.